At Coast Family Dental we believe prevention is better than cure. Fissures are the deep grooves and pits that occur within the biting surfaces of molar teeth. Some of these grooves and pits can be quite deep and trap food and plaque, a precursor to dental decay. Sometimes even with our best efforts, brushing our teeth will not adequately clean inside these narrow spaces. Newly erupted teeth with deep grooves and fissures are at a higher risk of tooth decay. 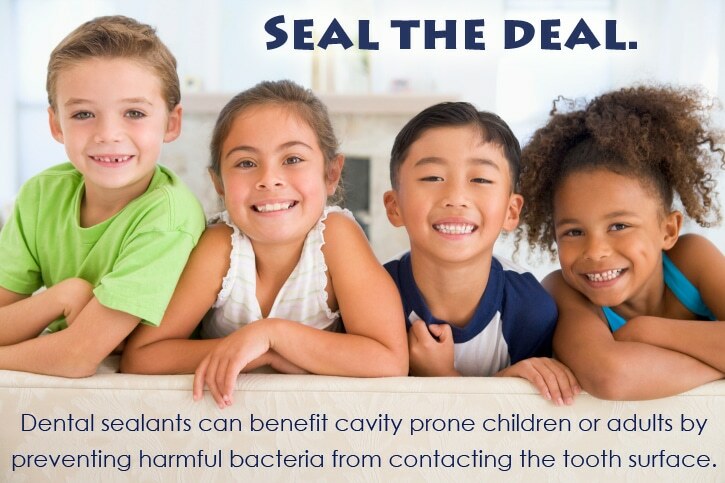 Fissure sealants are a minimally invasive, gentle way to reduce the risk of cavities from beginning in the first place. A fissure sealant works by sealing up the narrow spaces and thereby preventing food and plaque from becoming embedded within these narrow spaces. Children can benefit greatly from this technique. At Coast Family Dental, Currimundi our dentists will recommend this treatment if it is appropriate for your child.